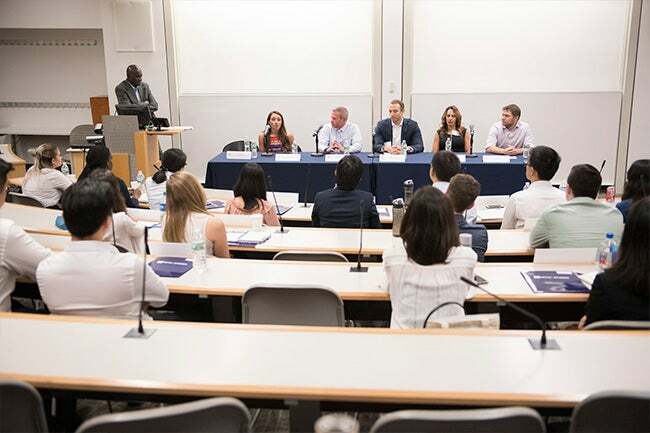 NYU Stern welcomed the incoming class of Master of Science in Accounting students to campus on August 29. 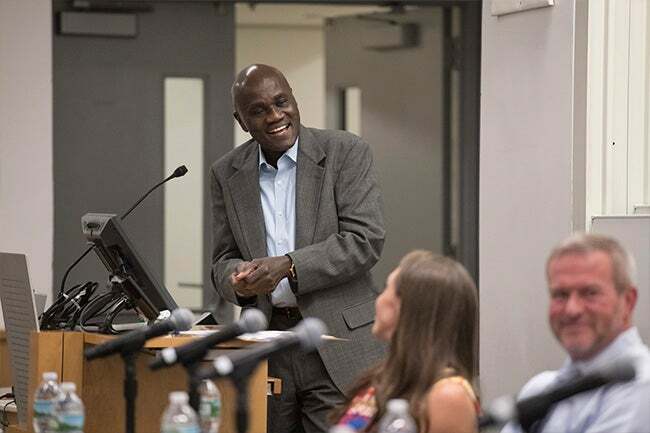 Professor Alex Dontoh, Academic Director, Master of Science in Accounting, moderates an industry panel at the program’s orientation. NYU Stern welcomed the incoming class of Master of Science in Accounting students to campus at orientation on August 29. Networking reception with accounting firms and representative staff from Deloitte, EY, Federal Bureau of Investigation, Mazars, PwC, National Futures Association, WithumSmith + Brown, and more. Stern’s MS in Accounting enables college graduates with a business or accounting major to satisfy the course requirements for New York State’s CPA certification. 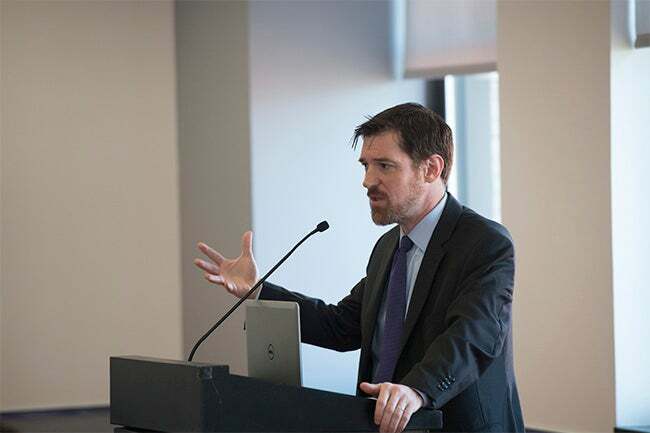 Because of New York State’s stringent standards and reciprocity with other states’ certification, graduates of this program will be well-prepared to meet CPA requirements in other states such as California, Texas, and Florida. The MS in Accounting provides a thorough foundation for careers in accounting, including attestation and assurance services, as well as taxation and forensic accounting. Dean of Students Conor Grennan welcomes the incoming class of Master of Science in Accounting students. Industry panel presents to the incoming class of Master of Science in Accounting students.